Based on activated silica compounds, this technology was originally intended as a performance level compound, but after intensive development at Continental's Research and Development Department Facility in Korbacj, Germany, an advanced new compound with outstanding grip was developed. 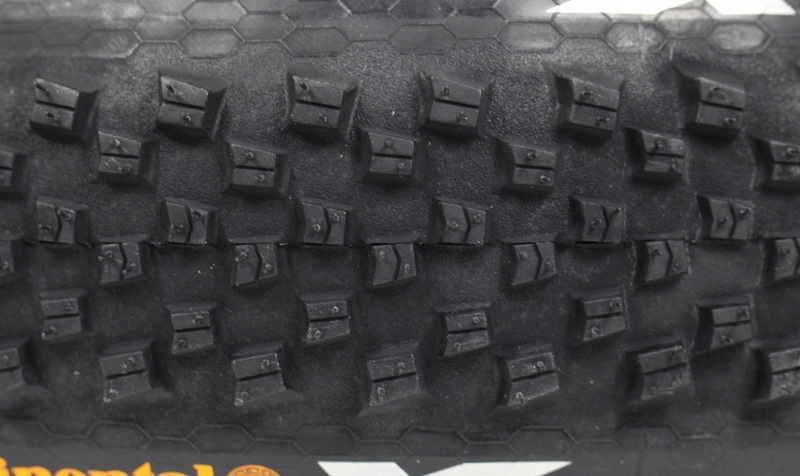 This new rubber mix, given the self explanatory name “PureGrip”, is ranked just behind the BlackChili Compound. 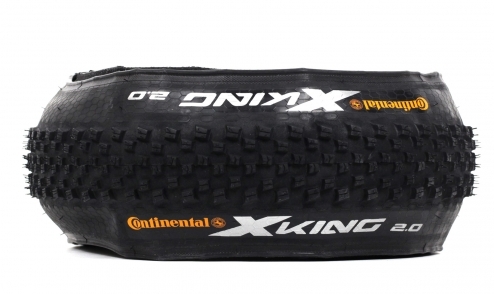 Whilst providing great grip, it is also long lasting and highly durable – both characteristics of the range of Continental tyres manufactured in the factory of Hefei (Province of Anhui, China). 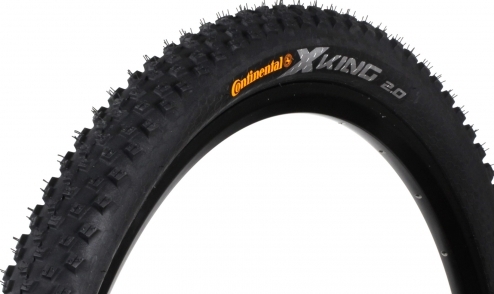 Versatile MTB tyre combining safe cornering grip with easy rolling characteristics. Profile developped with the Topeak-Ergon MTB team. It is positionned between the more aggressive Mountain King and faster rolling Race King and is at ease from cross-country to all mountain. Note : airtightening the tyre will require 24h to 48h delay after application of liquid latex. 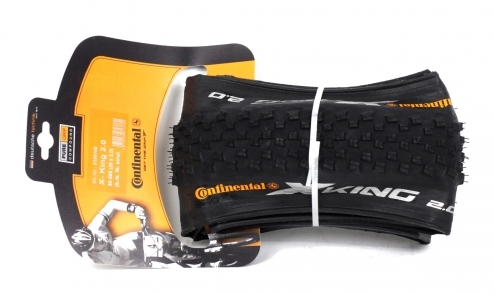 Neither walls nor packaing are marked "tubeless ready" but the Continental Performance range is indeed tubeless ready.